Manufacturer & Exporter of CO2 Compressor. Our product range also comprises of CO2 Recovery Plant, CO2 Storage Tank and CO2 Generation Plant. 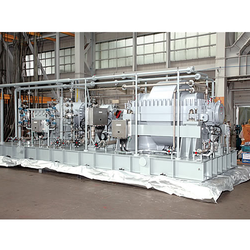 We are the supplier and exporter of wide range of CO2 Compressor. Our products are ideal for different commercial refrigeration and low temperature. Our compressors are appreciated by our patrons for their smooth functioning, noise less operations, resistance to corrosion. Our products are highly appreciated by clients. Looking for CO2 Compressor ?